3rd is the highest I've seen us picked in many years. RICHMOND, Virginia – The UNCW softball team has been picked to finish third in the 2019 Colonial Athletic Association race, according to a vote of the league's head coaches. James Madison, which has reached the NCAA Tournament the last six years, was picked to capture its fourth CAA title in the last five years after receiving all seven possible first-place votes. Charleston earned the other first-place vote and finished second in the voting. The Seahawks received third place in the poll, followed by defending CAA champion Hofstra, Towson, Elon, Delaware and Drexel. Led by junior Dominique Travers, the Seahawks return 18 letter winners from last year's team that reached the CAA Tournament. Travers, a Second-Team All-CAA performer, paced the team with a .302 batting average and seven home runs. Senior Haley Lenderman and junior Rylee Pate return to anchor the Seahawks' pitching staff. Lenderman authored a 2.78 earned run average while appearing in a team-high 29 games. Pate, meanwhile, fashioned a 6-8 record with a 3.62 earned run average in 69.2 innings. UNCW opens the 2019 season on Friday, Feb. 8, by facing UNCG and No. 1 Florida State at the Joanne Graf Classic in Tallahassee, Fla. Season tickets for the 2019 campaign may be purchased by calling the UNCW Athletics Ticket Office at 800-808-UNCW or by visiting UNCWSports.com/BuyTickets. Softball opened their season today with a 5-0 win over UNCG in Tallahassee. They just played their 2nd game against defending national champ and #1 ranked Florida State, falling 7-2. Quality showing for the first day of the season. Good job ladies! The Ladies finished up the weekend 2-3, with that opening win over UNCG as well as a 3-2 victory over Iowa State on Saturday. We lost a pair to FSU as well as an 11-10 shootout to UNCG. She went 2-0 with a 0.81 ERA over the weekend. 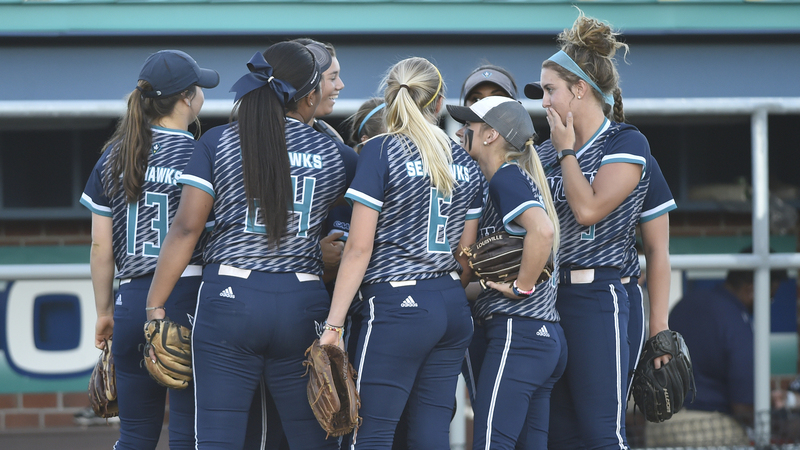 Seahawk Softball went down to a tournament hosted jointly by Jacksonville and North Florida and went 4-1. Their only loss was against Jacksonville, with wins over North Florida, Georgetown, Cleveland St and La Salle. The Lady Diamond Hawks sit at 13-10 on the season. Next up is another tournament being hosted by UNCW, which will bring in Eastern Kentucky, Youngstown St. and Canisius. We play 5 games on the weekend. Canisius will also stick around for 2 more games against UNCW on the subsequent Tuesday before CAA play begins on Saturday, March 23rd against Towson.